It was around April when I got to Copenhagen; back then I was living in Madrid, and it was my first time visiting a Scandinavian country. Being accustomed to the colourful and rambunctious life of both my native Italy and my adoptive country, I can’t say I was too excited at the idea of missing out on even a few days of warm spring sun and cerulean sky. I spent a whole week in the Danish capital and, I admit, my bones were not warmed by the sun and the sky was far from being bright blue. However, the city left me with a great first impression. As you follow our itinerary through the eyes of our locals, you will discover, just as I did, that Copenhagen is a compact, energetic example of variety and dynamism. 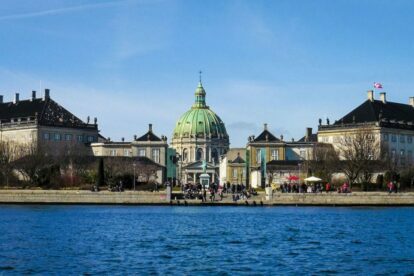 Allegedly founded in the late Viking Age, in the 15th century Copenhagen became the capital of Denmark. Throughout the first half of the 1800s the city flourished as a centre for the arts and by the beginning of the next century the population had quadrupled from 1840. The post-WWII decades saw Copenhagen pioneering in different fields, from urban development to social policies and public transport. Thanks to the ability shown by its citizens and government to face present, and foresee upcoming, challenges, nowadays Copenhagen is regarded as one of the best cities to work and live – not only in Europe, but in the whole world. I like to think that variety and dynamism are two characteristics embedded in Copenhagen since its very beginning as a small settlement. The very name of the city is evidence itself: Copenhagen originally means ‘merchants’ harbour’; is there any place more like a port and/or a trade city that makes for the ideal breeding ground for exchanges of all sorts? 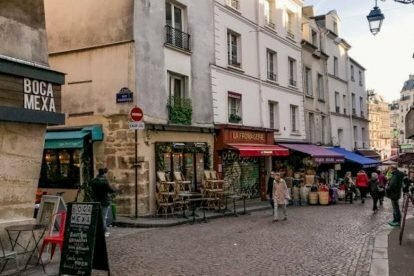 Such variety and dynamism shows in the racial composition of its neighbourhoods and the possibility to experience opposites that coexist a few steps away from each other. Leave the ethnic restaurants of Nørrebro and a few minutes later you’ll find yourself in a posh deli of Østerbro. The renowned Scandinavian sense of neatness and order do not interfere with a developed inclination to party: Copenhagen has among the highest percentage of bars and restaurants per capita and overall venues close considerably later in comparison to most European cities. But that’s not all, as when it comes to architecture the city offers the occasion to wonder at the latest example of eye-catching contemporary architecture while walking down a street dotted with rococo-style buildings. The best thing about all that? Copenhagen seems to have it all despite being everything but a huge metropolis: hopping from one reality to the other has never been so easy – it just takes a few minutes by foot or bike. Looking forward to escaping the routine? Copenhagen is the answer. Meanwhile, get a foretaste of what’s awaiting you with this 48-hour itinerary. As a local, of course. 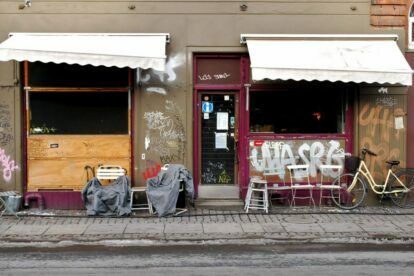 Are you staying in Nørrebro? Among the suggestions from our Spotter Cindy both The Coffee Collective and Røde Roses Kaffebar make for the ideal breakfast experience. Coffee connoisseurs, head to The Coffee Collective and enjoy the minimal yet cosy space while sipping your black beverage – you’ve ended up in what’s probably one of the best coffee places in Copenhagen. If you’re not in the area, not to worry: there are two more around town. Further north, in a square away from the main tourist routes, Røde Roses is mainly frequented by locals who flock there for its delicious cakes and jovial atmosphere; in summer, the cafe also organises a music festival in collaboration with the Copenhagen Jazz Festival and a flea market (both of them take place in the square). For some (applied) arts, don’t miss the Designmuseum Danmark. In the northern part of Copenhagen’s historic centre (Indre By), near the Kastellet and ‘The Little Mermaid’ statue, this often overlooked museum is a mecca for design lovers. Hosted in a 17th-century hospital, it’s home to both temporary exhibitions and a large permanent collection; highlights include drawings and pieces of furniture by well-regarded Danish masters of design – Arne Jacobsen and Poul Henningsen to name just a couple. Brunch at its best at La Esquina, a pretty cafe/restaurant in Østerbro right off the Sortedams Sø, one of the three basins forming ‘The Lakes’ of Copenhagen at the western margin of the centre. 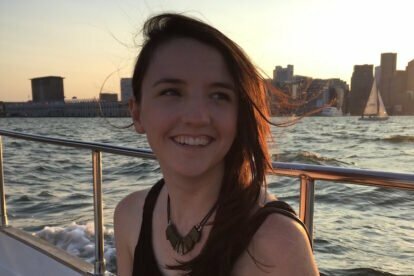 According to Pernille, the menu of La Esquina is better and cheaper than any of the other cafes with a view over the lakes. Order by the bar, get your choices in separate pots and enjoy them with a glass of wine while people-watching. Alternatively, go ethnic and opt for Ma’ed, an affordable and easy-going Ethiopian restaurant whose menu is a pleasure to the palate. Order a family-size dish, and you’ll be served with a giant injera (pancake-like flat bread) dotted with your chosen toppings – and don’t forget to eat with your hands! Ma’ed is located in Nørrebro, a vibrant poly-cultural and multi-ethnic district (almost 30% of its residents are immigrant or their descended, mostly from the Middle East) where kebab places pull up alongside design shops and funky bars. When it comes to shopping Nørrebro will easily meet everyone’s needs. Take some time to browse through the works of Danish artists and illustrators at CMYK kld, or get acquainted with Danish literature and purchase an English-translated book at Ark Books. Looking for something to brighten up one of your rooms? HotKoTyr sells lamps. Any type of lamp: from 60s design to kitschy ones. 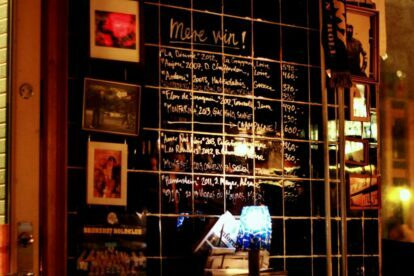 Also, the area numbers one of the best vinyl stores in Copenhagen – Route 66, a music heaven stocked with new releases, reprints and second hand records. But that’s not all: Nørrebro is also about architectural highlights. 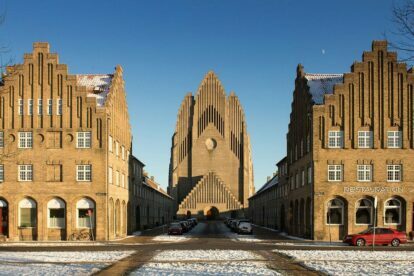 Reach its northernmost portion to admire the yellow-brick facade of Grundtvig Kirke. Completed in 1940, its forms are the result of a well-achieved combination of Brick Expressionism with Gothic architecture. 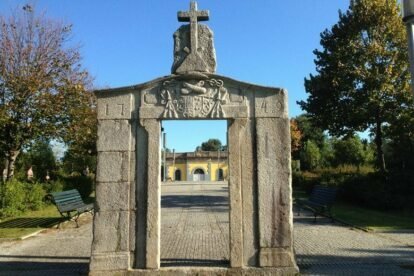 Its interior, pure and deprived of redundant decorations, is as imposing as its exterior and the surrounding cemetery further adds to the mystical atmosphere that the church irradiates. The diverse faces of Nørrebro show in its culinary offer, too. Find Kate’s Joint in Blågårdsgade, the only pedestrian street of the district. Unless you’re told about Kate’s Joint, you’ll hardly be able to spot it from the street, as the building where it is located bears no signs of its existence. 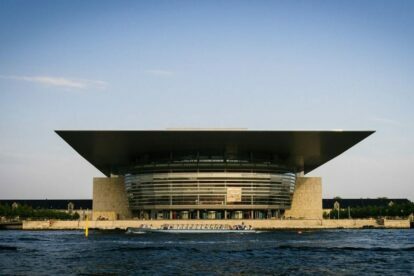 However, the place has become so famous in Copenhagen that a reservation is needed, especially during the weekend. The menu is eclectic, its flavours and recipes drawing inspiration from various cuisines from the Southern hemisphere. Right next to Kate’s Joint is Ahaaa, a go-to restaurant for Middle-Eastern cuisine lovers. Try everything, but above all try their freshly home-made falafel: arguably the best in town. And, when the moment of quenching your thirst approaches, here are two options to satisfy everyone’s preference. Sabotøren is again another off-the-beaten-track-but-famous-among-locals place, serving imported organic wines mainly from Southern France. It’s tiny, but it’s well worth a visit both for its wine list and its candle-lit interior. Whereas if you want to dig into the local beer scene find Søernes Ølbar. They serve around 20 beers on tap, all of them coming from small Danish breweries and bearing funny names (“the streets Beyoncé”?!). 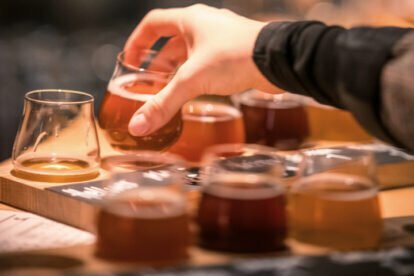 As the name itself suggests, the place is a beer bar by The Lakes; during the summer, sit in the outdoor area and enjoy your pint while looking at the city lights glittering on the waters. 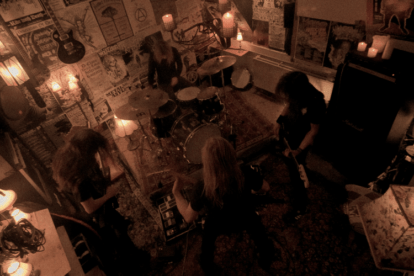 If you’re planning to stay up a while longer and rock and roll is your thing, Drone is what you’re searching for. Drone is a genuinely cool place; maye because it doesn’t try too hard to be cool, and people go there not to be seen but to have fun; maybe it’s the cheap booze, the smoking-allowed policy and the fact that everyone is always up for a a chat, whether it’s at the bar, on the dance floor or in their unisex toilets. Whatever the reasons are, Drone turns out to be absolutely alright. Next to Nørrebro station is Lygtens Kro. Now a German pub/restaurant serving Bavarian food and German beers, during the weekends Lygtens Kro is hit by a merry crowd, ready to smash the dance floor as DJs spin everything from glam rock to country music. 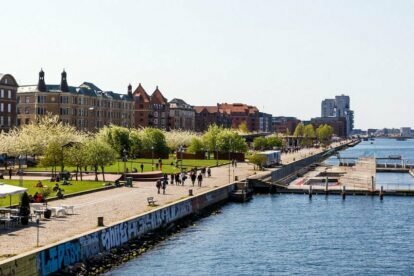 South-west of the city centre, the former working-class district of Vesterbro is undergoing an extensive process of gentrification and has turned into one of the trendiest areas of Copenhagen. 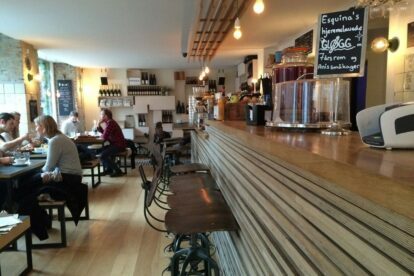 If you happen to wake up in Vesterbro, go find a cafe dubbed as ‘The nameless’ by our Spotter Stefan . It’s hard to tell if the shabby look and uninviting appearance of ‘The nameless’ are just the ultimate hipster whimsy or a genuine attempt of resisting the ever-looming hipness, but sipping a coffee in the foggy interior (smoking allowed) surrounded by locals might be an unexpected alternative to whichever coffee chain. 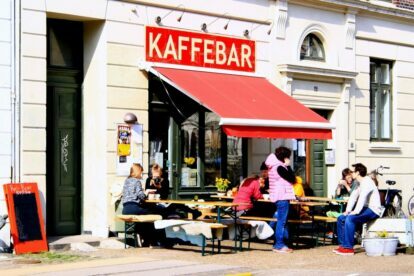 On the other side, for those needing to take it slow and easy, Kaffestuen is the embodiment of the Danish concept of ‘hygge’; roughly meaning the creation of a homey atmosphere where to enjoy the good things in life surrounded by nice people. Kaffestuen’s snug interior is an invitation to indulge and relax even after finishing your veggie breakfast. Head to Indre By, and between one sight and the other keep in mind that the Royal Library Garden is one of the most peaceful green spots in the area. If the weather misbehaves and you don’t get the chance to lay on the grass, tan and spot some clouds, the Tøjhusmuseet (The Royal Danish Arsenal Museum) is just next door. When in Copenhagen you can’t help but try the smørrebrød, the typical open-faced sandwich usually consisting of a piece of dark bread topped with a variety of different ingredients. 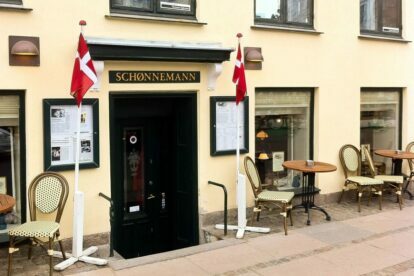 There’s a number of places scattered around town where to eat the Danish speciality; among them our Spotter David recommends Kanal Cafeen and Schønnemanns. In the first one, on the canal right behind the Parliament, you’ll find the most authentic versions of smørrebrød. In case you can’t take advantage of the outdoor terrace facing the canal, The nautical-themed decorated interior makes for a pretty and cosy seating area. The latter, located in the Indre By district as well, is allegedly the best place in town for smørrebrød; not only does it provide an extensive choice of both classics and revisited sandwiches, it also serves more than 70 types of aquavit – a strong, flavoured spirit typical of the Scandinavian tradition. 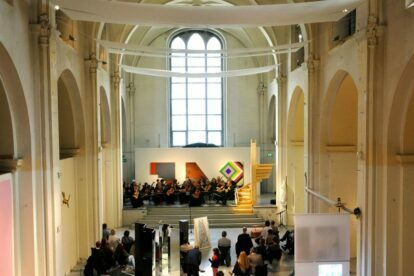 For those fond of culture but not eager to spend the whole afternoon getting lost in a big museum, consider checking out what’s on at the Nikolaj Kunsthal; here contemporary art is displayed in the airy naves of what was once Copenhagen’s third oldest church. As you carry on exploring the historical centre, spot the Dome of Visions; a temporary structure positioned in a liminal place, this itinerant pavilion is used for various purposes, from a climate shield to cultural and academic events. At a stone’s throw from the dome, under the Christiansborg Palace bridge, enjoy the sun rays at Kayak Bar. Sit on a chair on their floating beach, sip a happy hour cocktail in the shade of a palm, or sweat in their little sauna – an additional perk of this awesome venue on the waterfront. 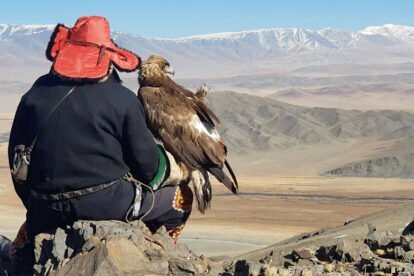 You’re unlikely to discover what Rub & Stub’s daily menu has on offer, as the chefs themselves don’t know what they will be preparing until that very afternoon. That’s because each day at Rub & Stub they collect the unsold from supermarkets, food shops and other restaurants, and prepare dishes out of whatever, unexpectedly, comes their way. 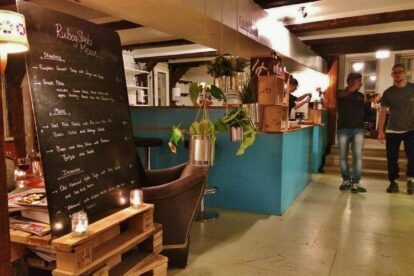 The restaurant is run by volunteers and the profit goes to the Danish Refugee Council. If you decide to book a table there, on top of basking in an awesome culinary experience you’ll do something good for the less lucky ones as well. In case you’re nearby Nørreport station, Kalaset is a busy bar/cafe furnished with vintage pieces. Coming to their menu, it is always carefully selected based on the season. Kalaset is a popular hangout for drinks too, but if you’re up for switching Zefside is just a few minutes walk from there. Located in a high basement, Zefside combines craft cocktails and groovy music in a super friendly environment. You could easily spend the night here or, in case you’re making a move to Vesterbro for some serious clubbing, stop by Fermentoren; as Zefside is great for cocktails, so is Frementoren for beers: their list is constantly evolving, numbering a large variety of both international bottled and microbrewery on tap. As a pulsing hub of coolness, Vesterbo couldn’t lack a smashing party scene – so here are just a couple of the many options you can find in the area. 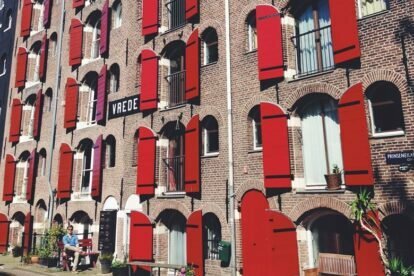 Vega, hosted in a listed building from the 50s, is among the most beautiful music venues in town and is renowned for its gigs and concerts. Both the bar and the entrance are on the pricey side, but most likely worth the money. Nonetheless, whether something’s going on at Vega or not, do not miss the chance to blow through the ‘Meat District’. Though still a locus for food and meat industry companies, since the early 2000s the Meat (or Meatpacking) District has turned into a major creative cluster and party zone. The whole area is bustling with after-dark opportunities but, for one reason or the other, our Spotter Sigrid often ends up at Jolene. No entrance fee for this former butchery, where drinks are cheap and the DJs know how to make everybody shake their bodies. 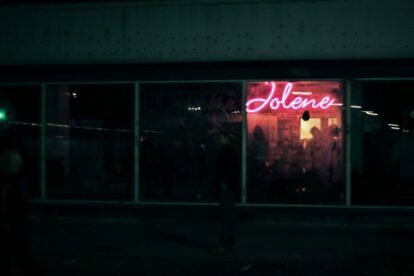 I remember I spent a night somewhere in the Meatpacking district, but to be honest I don’t know if it was at Jolene or in any other venue nearby. Also, I don’t remember much about anything at all, but I do know I had a blast. It was just a small bar with loads of diverse, energetic people having fun and releasing good vibes; it was just like Copenhagen: a human-size place bustling with dynamism and variety. More? Check our Copenhagen blog or app!